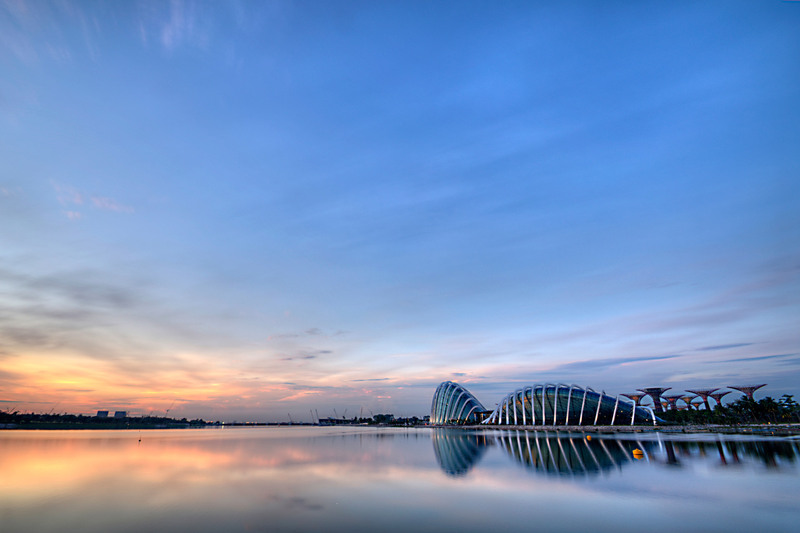 Gardens by the Bay is a park with 100 ha reclaimed land in central Singapore, adjacent to the Marina Reservoir. 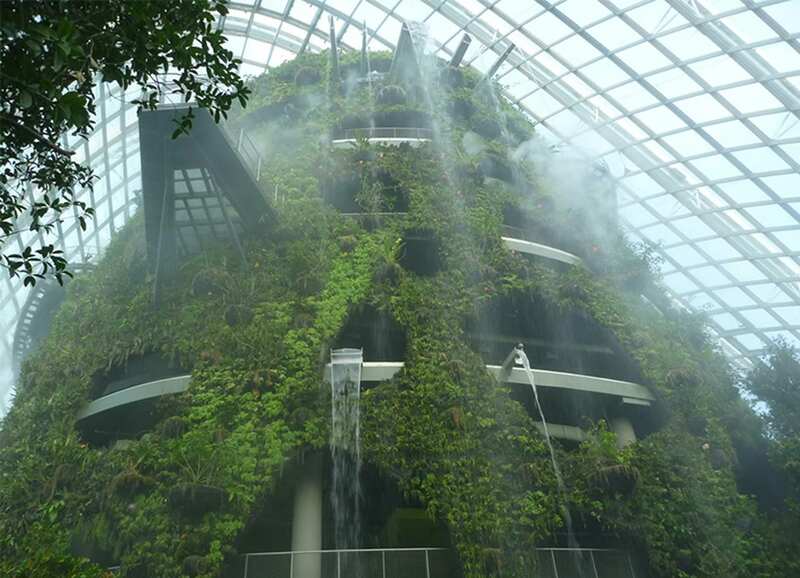 Besides large outdoor gardens two cooled conservatories form part of the world class visitor attraction: the "Flower Dome" features cool-dry climate of the Mediterranean and semi-arid sub-tropical regions and the "Cloud Forest" features the cool moist climate of the tropical mountain region. 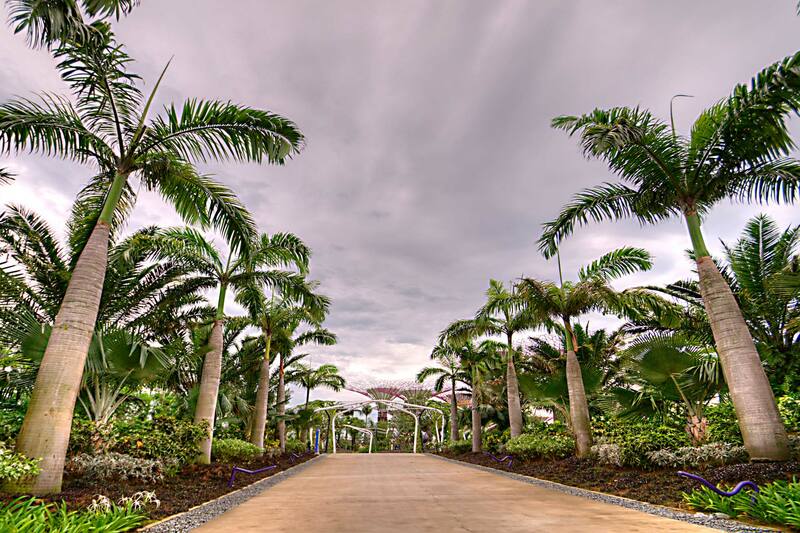 Besides developing the client´s design brief Transsolar’s role was providing technical consultancy for the Conservatories, developing the climate and energy concept for the Garden office and the support biome. 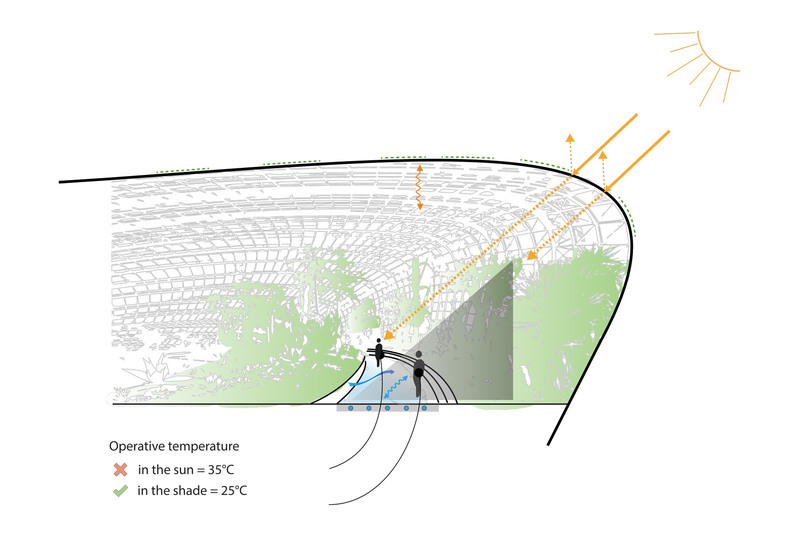 The concept aimed at creating spaces comfortable for visitors and climatically adequate for the flora exhibited in the two biomes while minimizing associated operation energy of the large volume. Initially, 6 prototype glass houses were built to develop, test and monitor different climate engineering strategies. The results were used for the development of the design brief and performance specifications of the large conservatories. Space conditioning relies on both passive and active technologies. 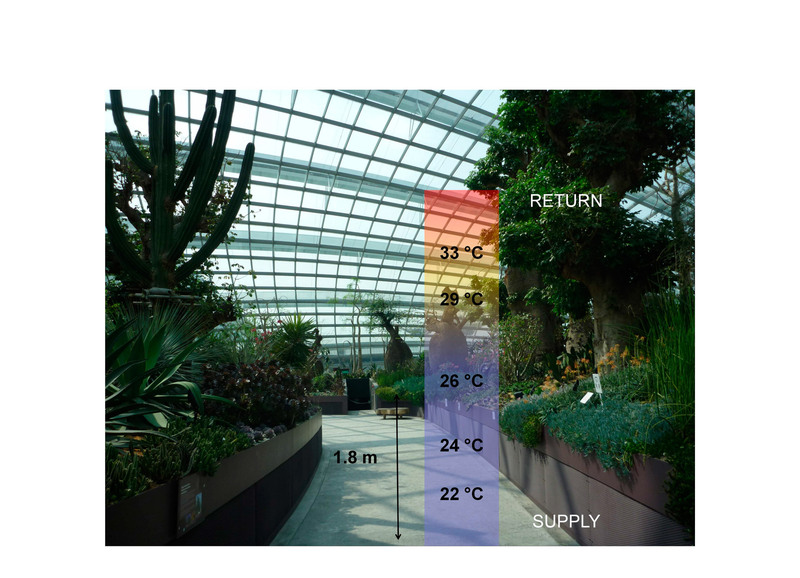 Optimizing the building envelope included the specification of solar protective glass (g-value 0.35) with low-emissivity properties, using the internal flora to create shading and natural stratification of temperature, keeping the occupied zones naturally comfortable for visitors. The high amount of daylight (daylight transmittance 0.7) assures growth and flowering of the respective plants. 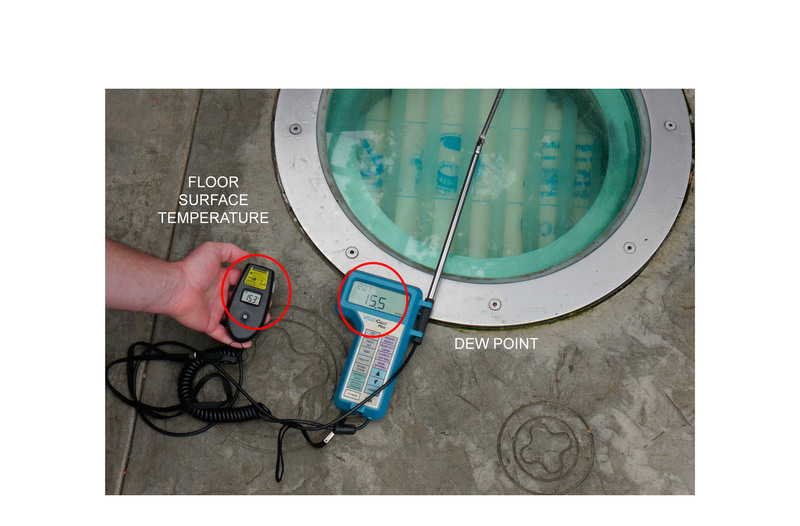 Space conditioning is performed through activation of the radiant concrete floor, whereas fresh air is provided through mechanical yet efficient displacement ventilation - at occupant level only. 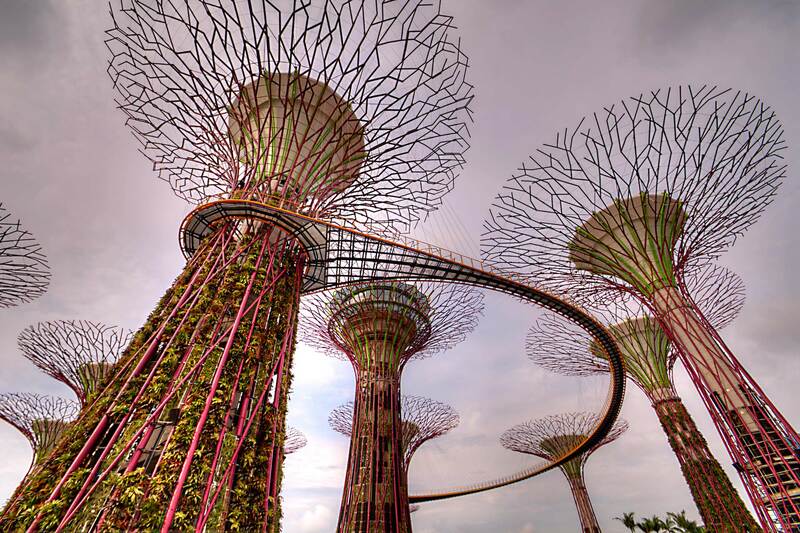 The client is responsible for some million trees in Singapore generating plenty of timber clippings. Atelier ten designed a co-generation system to supply electrical energy, chilled water and dry air based on this renewable energy source. 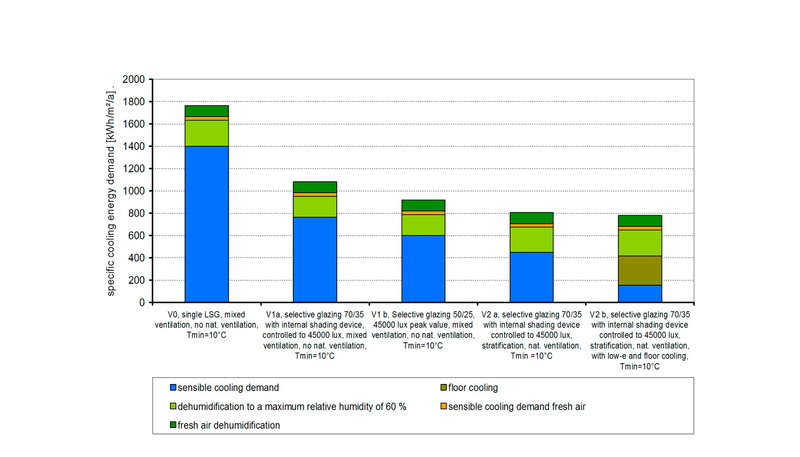 Co-generation technologies with combined cooling, liquid desiccant dehumidification and electricity production had been tested in the prototypes.